Preparing Beds In The Cut Flower Garden. 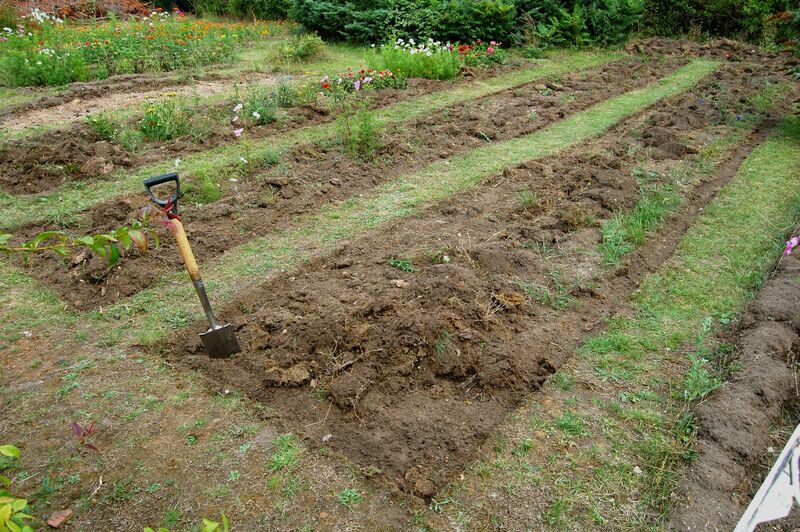 Preparing Beds In Your Cut Flower Patch. #2. Higgledy Flower School. 2016. 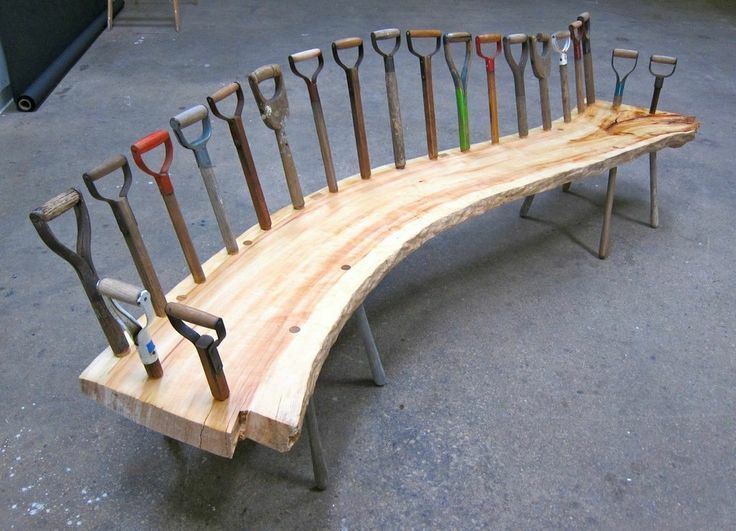 *It’s important not to work your soil too early…generally if it sticks to your tools then it’s too wet. You won’t be wanting to sow anything outside until the middle of April, so stick a fork in the ground in early April and see how easily it breaks up…if it’s all claggy then leave it well alone…you’ll just make a mess and get cross and upset and start throwing things about. The whole process is much more enjoyable when the ground crumbles under your fork like dark chocolate. There’s plenty of time. Preparing beds in the first Higgledy Garden in Cambridge many years ago…this must have been at the end of the summer…these beds look to be too wide…naughty naughty Mr Higgledy!….keep your beds to three feet wide. Nice straight edges though….extra points for that. *If you are cutting your flower beds out of an existing lawn then make the paths the same width as your mower…certainly no smaller. Some folk use chipped bark on top of weed fabric…but it’s not so good, if like me, you like to potter about bare foot in the flower garden during the summer. *The way we prep our flower beds at Higgledy is really simple…we just fork them over to the depth of the fork blades (A spit)….no double digging for us. Then we break this soil down to a fine tilth by bashing the clods with the back of a heavy fork and then breaking them down further with a rake. 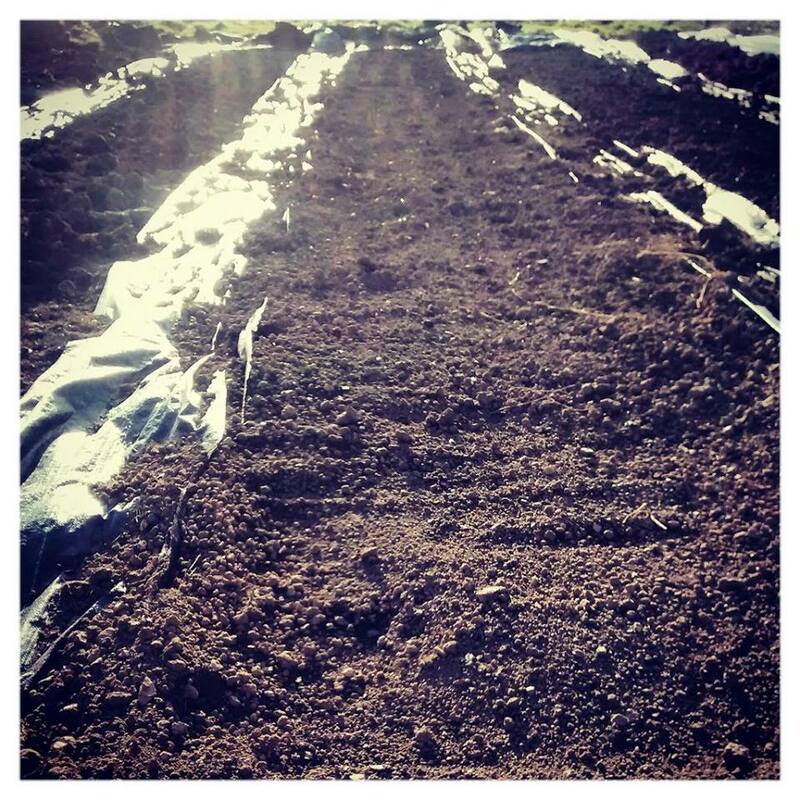 *You will want your patch to have good drainage…so if you have a heavy clay soil you could add a good deal of organic material (3 parts soil to 1 part organic material works well for me) and perhaps some sacks of grit. If you make your own compost try adding a load of torn up newspaper or straw to it…this will bulk it out and reduce it’s richness which your flowers rarely require. You also may want to consider raised beds. 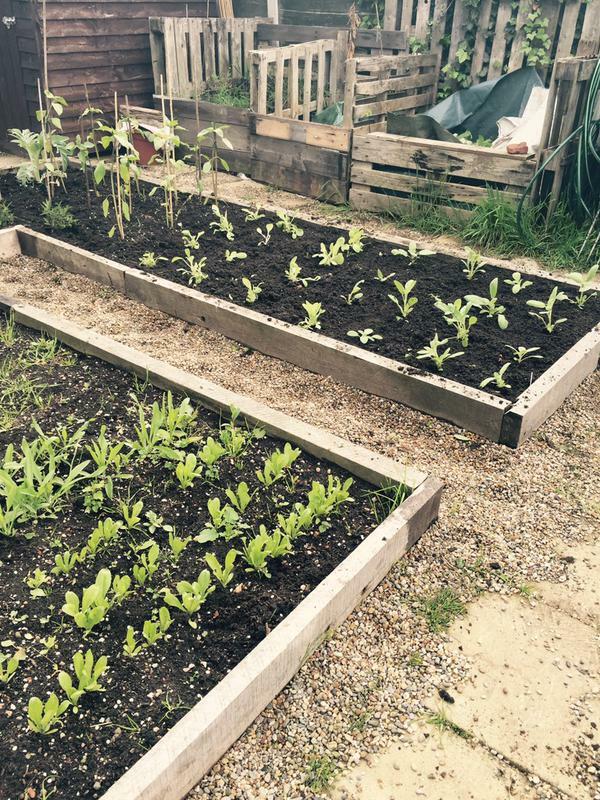 Raised beds make you look professional and people will think you know what you’re doing. *Sun sun sun…generally all of the flowers you will be growing in the cut flower garden like lashings of sun…so don’t put your patch in the shade…at least seven hours of sun in the summer would be a minimum for a bumper crop. Higgledy Flowers in the walled garden of Port Eliot. *Keep the edges of your bed, straight and neat, it helps to stop the grass (if you have grass paths) from creeping into your flower space. *How much bed space you require is impossible to answer…it is dependent on so many variables…if you only have room for a 10ft x 3ft then so be it. I would however suggest you don’t get too carried away…there IS work involved in looking after your beds…if your cut flower patch adventure starts to become a chore, you will lose interest. I have a dozen 3ft x 24 ft beds on my allotment and that’s way more than enough for me…in fact I shall be reducing that next season so I have more time to spend pottering around the shed and more time to flirt with my allotment neighbour. Books: The Flower Farmer’s Year by Georgie Newbery and The Cut Flower Patch by Louise Curley are both very informative and I suggest trying to get hold of them as inspirational reading for the season ahead. 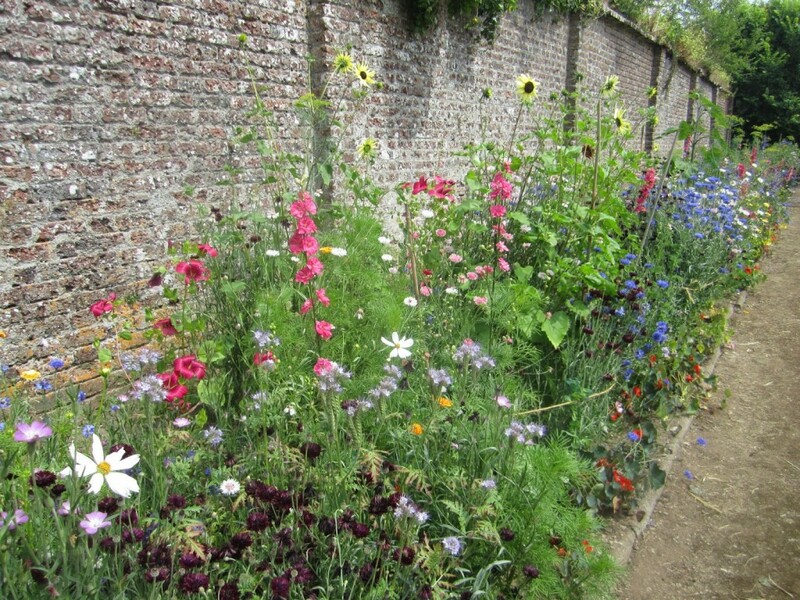 Tomorrow we will have a look at what flowers we can be growing in our cutting gardens. If you have any questions then please ask away…you can find me on Twitter or Facebook. Should you wish you can join ‘Club Higgledy’ (see the right hand side bar). Higgledy Garden Flower School. Year 2016. #1	What Flowers To Grow In The Cutting Garden.